We need to update this page! Our range work has become even MORE valuable! 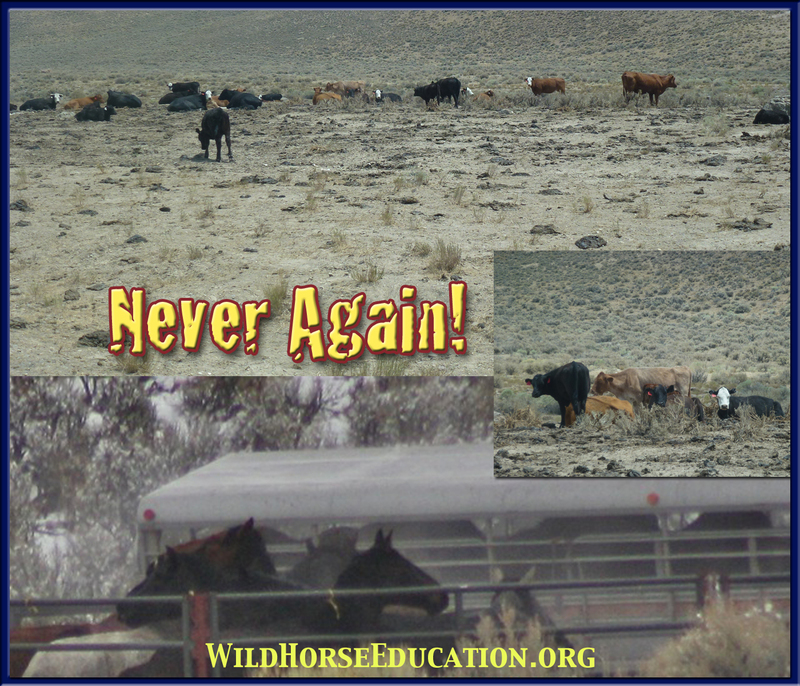 As Wild Horse Education (WHE) enters into it’s fifth year we “celebrate” the steps we have made as we step forward to address the escalating issues faced by wild horses and burros on our western public lands. Happy Birthday WHE! Those “miles” include victories in court on humane care, access and unjustified removals. 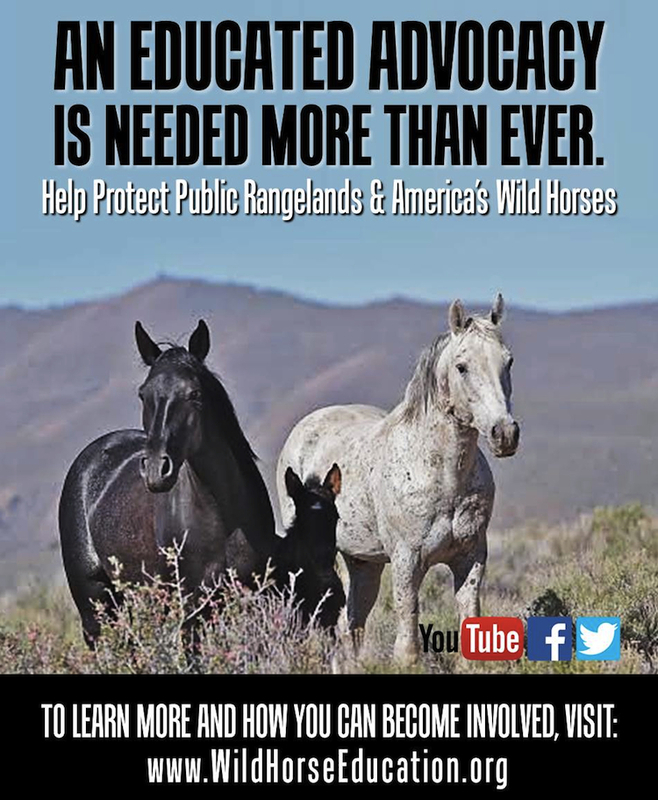 The “miles” include multiple instances where the “on the ground” reality has been brought into meetings and conferences to refute propaganda perpetuated by interests that compete for resources with wild horses or by agencies perpetually stuck in outdated dogma. The “miles” include data that has been used to prove the damage being done by domestic livestock to the range and to even demonstrate the truth of “trespass” (unlawful) livestock grazing on your public land. 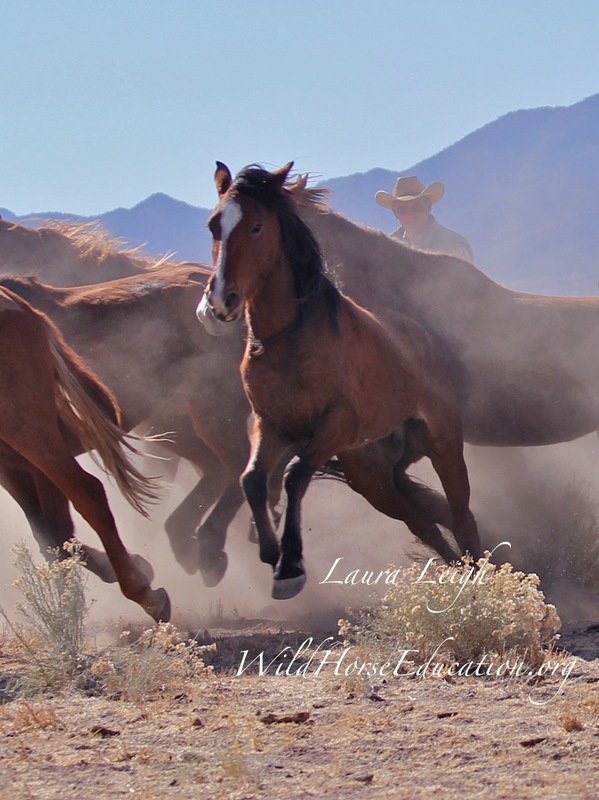 It is vital that we maintain our ability to be “everywhere and anywhere.” At this very moment the landscape our wild horses and burros occupy is literally a battlefield. The fight for resources on our western public lands has escalated as we endure a fourth year of drought with no end in sight. We are engaged in three distinct battles; the political, the courts and the war of public opinion. 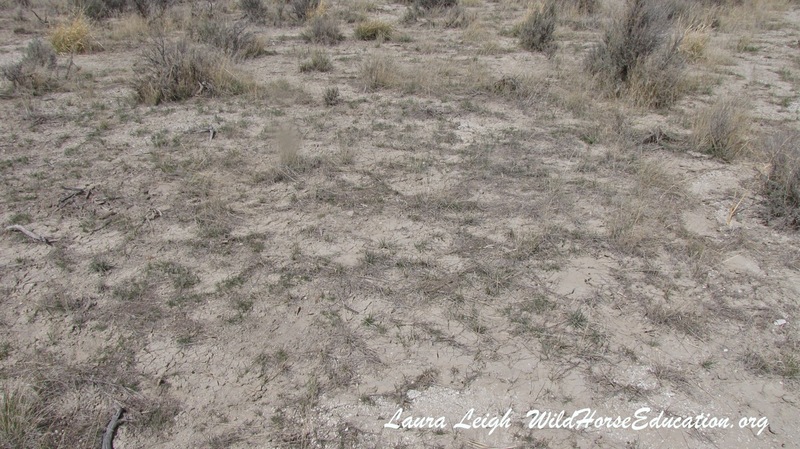 Images from an area of drought (Diamond) where livestock interests united against wild horses creating the NACO legal action. More info below on our priorities as WHE steps into our fifth year. The current political quagmire that wild horses and burros face did not manifest “overnight.” The war for resources on public land has a long and bloody history that includes the disenfranchisement of native people, environmental disasters like the “dust bowl” and even a bloody war between between livestock grazers that homesteaded and those that “free grazed” over western public land. 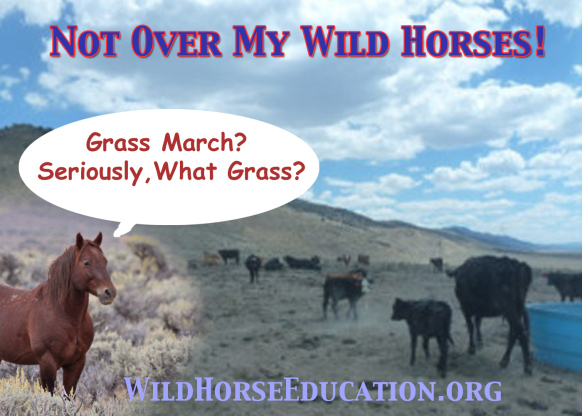 This “Grass March” was a flop, but they are getting “back in the saddle.” Updates coming soon. Propaganda being spread by the “pro cow” political machine is increasing as a flurry of legislatives moves and “anti horse” legal actions are being attempted. In a year where responsible decision making will be crucial to preserving any wild places in our American West the pressure to cave to those intent on preserving their own pocketbooks is intense. “Entitlement Complexes” are once again trying to march over your public land, and the very laws that govern it. The western landscape in the US is in a fourth year of drought. More than half the population of federally protected wild horses and burros exist in an area known as “The Great Basin.” Ecologically, the Great Basin is a semi-arid landscape of shrub lands, grasslands, and mountain forests that are spotted with precious critical wetland and riparian areas. The Great Basin includes over 111 million acres of land and water in five western states. About 80 percent of the public land (about 80% of the entire land base of the Great Basin) is managed by one agency, the Bureau of Land Management. Video below is a documentary on the “Dust Bowl” that hit the Great Plains as human need to “consume and reap profit” devastated the land. This video is very long by the “fast info” standards of today. If you can not handle the pace please watch from timecode 17:00. It is no exaggeration that our Great Basin will be the next Dust Bowl if policy makers stay motivated by cronyism and fear. A detailed article (and action item) on the fast moving political game, and the propaganda being spewed, coming soon. We hope we have given you a glimpse into the very real need to not only document roundups and holding facilities, but the range itself. What happens long before the sound of the helicopter blade is the most vital aspect of the work done by WHE to preserve and protect our wild herds.